A four-day construction project for Metro’s Yellow and Blue lines has been rescheduled to reduce the impact on commuters. Work on replacing a series of switches and installing new concrete pads outside of Reagan National Airport will close the Reagan National Airport and Crystal City stations. The project was originally scheduled for Friday, Nov. 2 to Monday, Nov. 5 but has been moved to the following weekend, Metro announced today (Friday). The stations will be closed from Friday, Nov. 9 to Monday, Nov. 12, which is Veterans Day. The change will reduce the commuting days impacted by the work from two to one. During the closure, shuttle buses will replace trains between the Braddock Road and Pentagon City stations. Metro warned that customers on the Blue and Yellow lines will likely experience additional crowding due to less frequent service during the repairs. Later in November, repairs to the Yellow Line Bridge will shut down the Yellow Line completely for ten days. 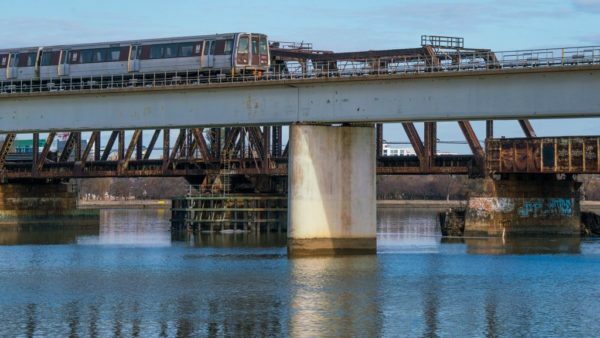 Between Nov. 26 and Dec. 9, the Yellow Line will not be functioning and customers wishing to travel between Virginia and D.C. will need to use the Blue Line.